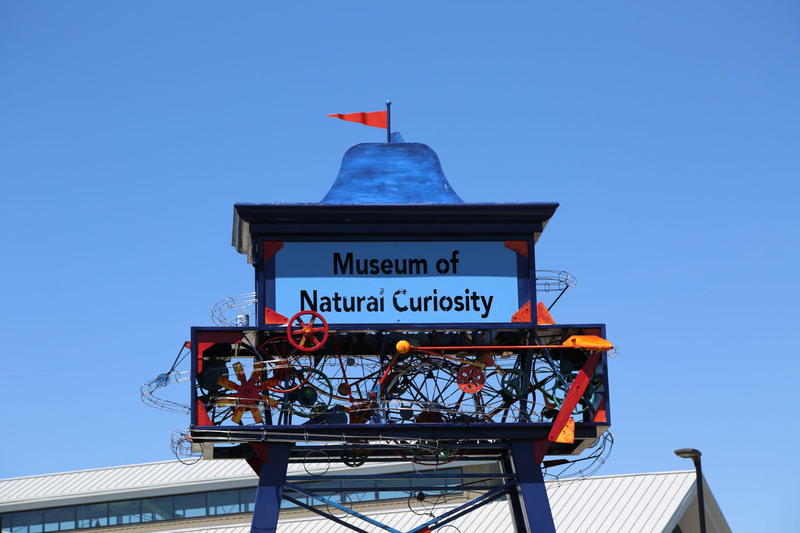 The new Museum of Natural Curiosity opened in May 2014 at Thanksgiving Point in Lehi, Utah. Since it’s new it’s a very popular place to visit. Even with a lot of people, there was plenty to do and it didn’t seem too crowded. 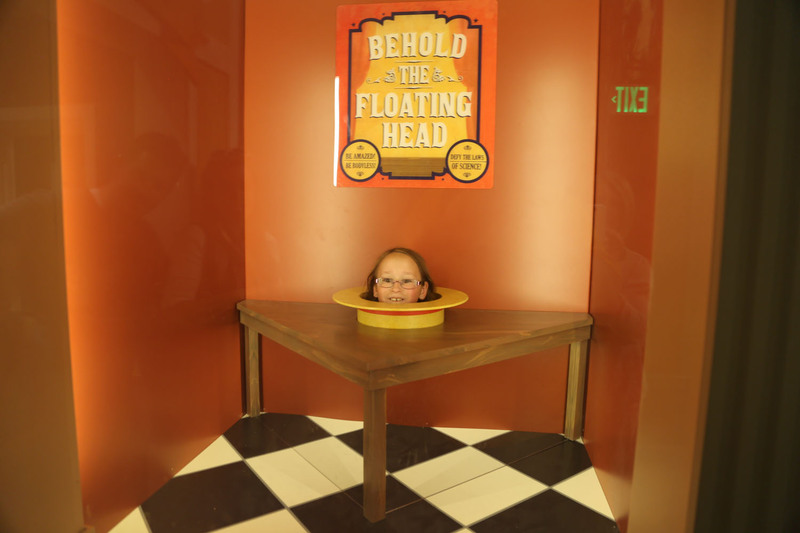 It’s a mix between a children’s museum and the Exploratorium in San Francisco. It’s entertaining for little kids and exciting enough for older kids. They’ve got a snack bar and a science store. The museum is very large with over 400 interactive activities and separated into four indoor areas and an outside playground and garden. If you’ve got several kids with you and if they’re old enough to explore some on their own, we’d recommend choosing an area and setting a time limit (like 45 minutes). Mom or Dad can sit in the middle and the kids can explore. This way you can keep everyone together and they’ll know where to find you. Trust us, we learned the hard way and it took forever to gather everyone back together again. There’s usually a place for adults to sit down in each area but honestly, it’s a pretty cool place and I’m certain you’ll want to do some looking around yourself! 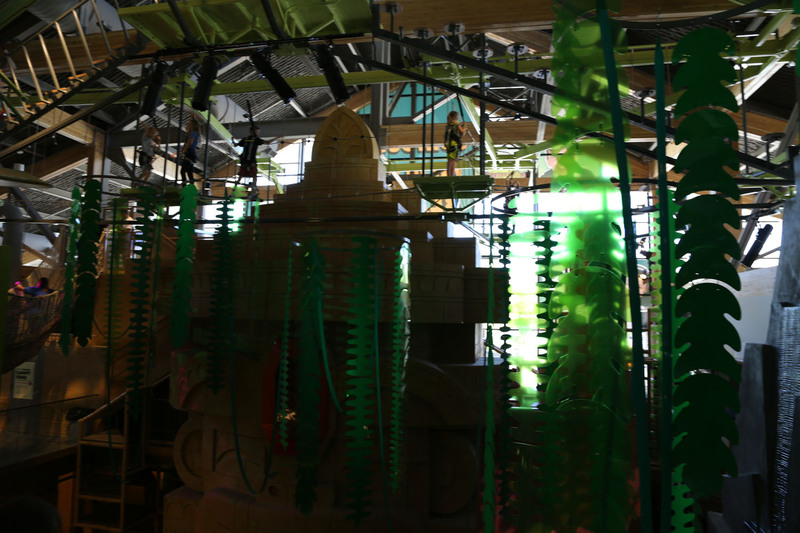 The Kidopolis has about two dozen or more shops or “learning areas” that kids can learn about magic, health, music, movie making, construction, etc. The music area and life-sized Lego room was our favorite. The Building area is a large room that they use for classes and events. They have hundreds of large lightweight bricks that you can use to build large walls. They day we were there they had a competition to see who could build the tallest structure. I think the kids had the most fun breaking through the bricks and making their walls tumble down. The Rain Forest area focuses on your senses and exercise. They’ve got a small area for little kids as well as a climbing area that will make any jungle gym jealous. We had a ton of fun on the rope bridge course. The last segment of bridges was three stories in the air! They even have a high-adventure rope course that takes you even higher. However, there are age limits, the spots fill up fast, and there’s a small fee around $8 per person. Waterworks is quite the wet place. We’d recommend visiting this second to last. That way you can explore outside (on a warm day) and let everyone dry out. 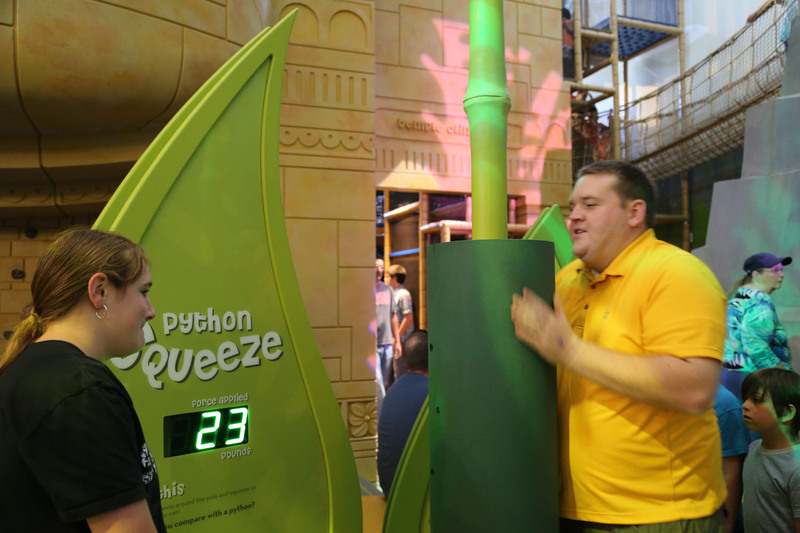 They’ve got about 15 different exhibits that let you play with water canals, piping, and even explore pressure, tornadoes, and land topography (this one is hard to explain – see the video). Thanksgiving Point has had a children’s garden for quite some time. This new museum absorbed that area and expanded it to include an additional playground and small picnic area. They’ve still got the maze garden (which can actually take a few minutes), cave, several splash pads, and amphitheater. Here’s a tip… the ice cream store next to the water tower sells great soft serve ice cream cones for 50 cents. $3 for six ice cream cones for our family is remarkable. And they aren’t stingy with the servings either. Yes, there’s a lot of people there. But our kids didn’t have to wait much at all to play with exhibits. We asked some workers and apparently until the popularity dies down there isn’t really a good time to visit. Each morning, they have a line that extends out the door. Even with the crowds, don’t let that discourage you. It’s an excellent place. One less-known thing is the Trading Post. You can bring in an item from home and trade it for points. You can trade your points for things like arrowheads, fossils, and other cool items. Be aware that the items you bring in 1) can’t be something that can be found around Thanksgiving Point. 2) kids get points awarded based on their age and uniqueness of the item. The admission fee is a bit expensive at about $12 for kids and $15 for adults. If you’re from the area there’s only ONE way to see this place and that’s with a Thanksgiving Point membership. The membership is set up to pay for itself with two or three visits to any of the Thanksgiving Point attractions. This means if you want to visit the Dinosaur Museum and the Curiosity Museum the same day it might pay for itself in one day. Any additional visits would be essentially free. You won’t have to pay for parking anywhere at Thanksgiving Point and there are plenty of food options nearby. They also have the world’s largest dinosaur museum, gardens, unique shopping, children’s animal farm, art galleries, theaters, and more. There’s even an outlet mall, theater, and Cabela’s Outdoor store within a mile. 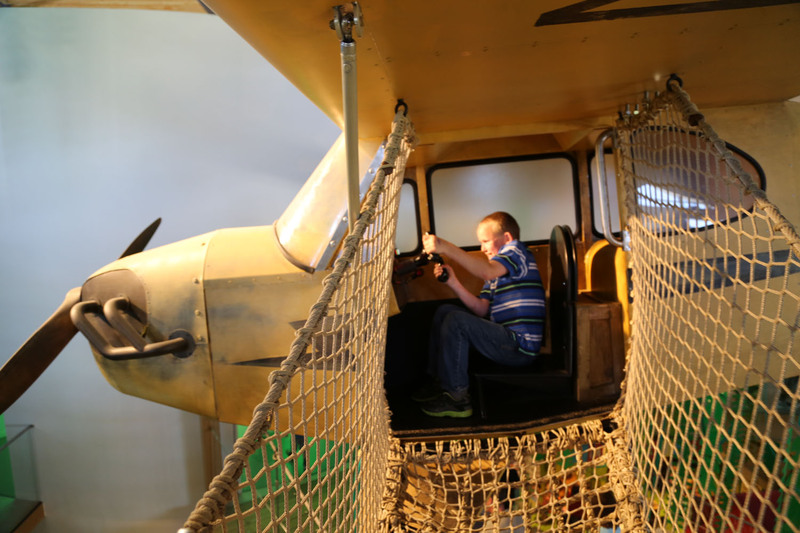 Our family LOVED the new museum and the kids asked to go back several times the following week!